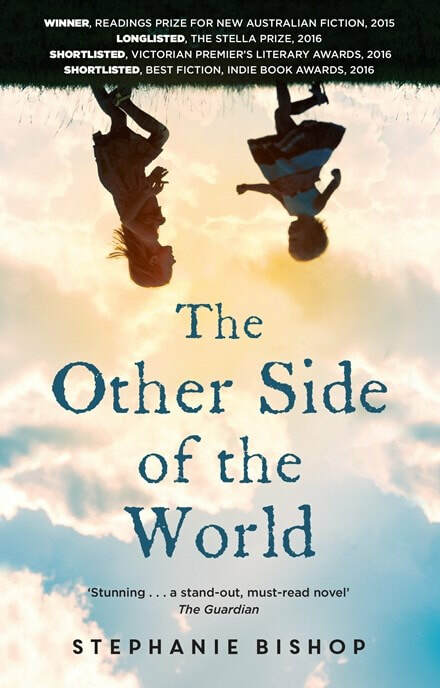 REVIEW: The Other Side of the World is a very, very good book. Let that statement stand there a bit and I will start from the beginning. It may seem strange to say but I started reading The Other Side of the World on the day it was handed to me because it felt like a good book even before I had read a page. The first few passages confirmed the feeling – I was reading a writer at the top of their game, a writer who could teach me something, a writer who could shake me around emotionally, a writer who could drag me into their story against my will if they so wanted. I always dance around the subject matter in my reviews. A writer takes thousands of words to say what their book is about. It can’t be satisfactorily reduced. I could say that Stephanie Bishop’s The Other Side of the World is about a couple who immigrate to Australia from England in the 1960s. I could also say it is about motherhood. Or about identity. Or equality. But these don’t quite do. I can say The Other Side of the World is tense, evocative, emotionally exact, surprising and that it will get people talking. Especially the ending, which we really have to talk about when you’re done. This is the pick for your book club or reading group. Here is your chance to be ahead of the crowd. Take my word for it. The Other Side of the World is a very, very good book.